I went to Weekend of Hell and it was amazing! 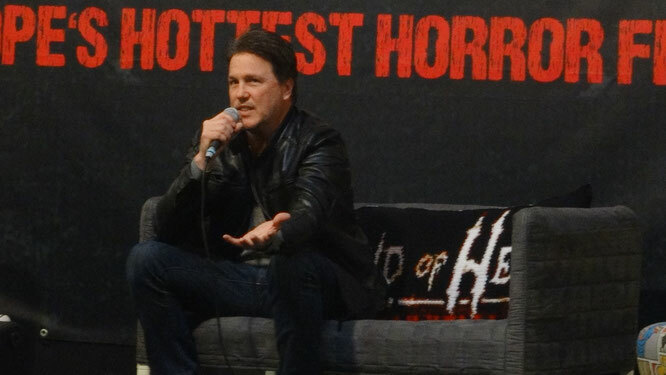 I was very happy when Weekend of Hell announced Lochlyn Munro as a guest. I already knew him for his roles in Freddy vs. Jason and Scary Movie. But a few weeks ago I also started watching Riverdale. (As a true binge watcher, I watched everything I could before going to Weekend of Hell). 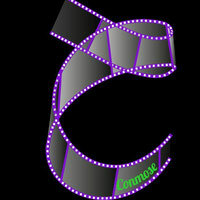 And I love the show! I didn't expect it. But I tried one episode. And I never stopped watching. I even watched it while going to work (by train) on my phone. Every second of spare time, there was Riverdale! So, before gong to Weekend of Hell I already knew I wanted to do a photo op or a selfie with Lochlyn. It was just a matter of deciding when to do that. The first day was a buy one! There was a lot to see and explore. 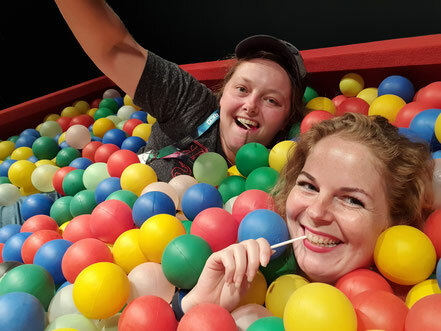 And Lochlyn's photo op was just 5 minutes before Bruce Campbell's panel. So I decided to way until day 2. On the schedule, there was no panel for Lochlyn Munro, that really was a pity! So if I wanted to meet him/ talk, my I really had to go for an autograph or picture! On day 2: the pressure was on! I had to make a decision. No more second changes. And because of that, of course I started to get nervous. I walked around and set myself an ultimatum: Decided before 12 o'clock what to do. Liv wasn't there at Weekend of Hell, so I was on my own. I walked by a few times. And at such moments, I always have an excuse! 'Oh I think someone is already going there', 'Oh I think he's busy, etc. etc. I'm not sure why, but I'm just scared to go. I don't know what to say. Or do. But finally, finally I just went over there. And I'm so glad I did! He was awesome. I walked over there and he started talking right away. He just did a con in Paris before Weekend of Hell. And he traveled with his family to Dortmund after that con. I told him I was from the Netherlands and he said he had been to Eindhoven once. But never attended a Dutch con. He now just started doing cons in Europe. So we chatted a bit and spoke about the movies/ series he played in and talked about cons. I was so so happy that I went over there to speak to him. He's really great, So If you're ever at a con and he's there: Take the opportunity! As you can see below, I also got the selfie :). I was already so happy that I met Lochlyn. But the day got even better. I walked by the panel area later and suddenly saw he was doing a panel after all. I missed a bit, but as soon I saw it, I went to see the panel! He talked about Freddy vs. Jason (And pronouncing "Voorhees" the wrong way), told party stories, Canada, beer and humor. Want to know more? 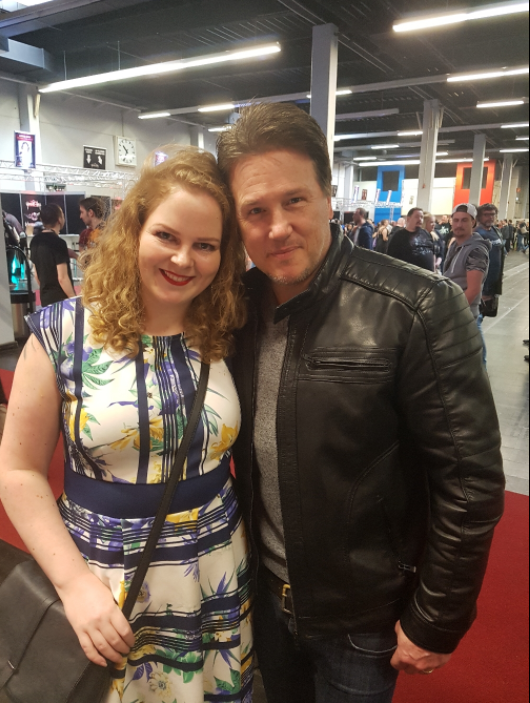 Check my video below abut meeting Lochlyn Munro!